The Updated ESP32-Based Grbl CNC Control Board Is Now for Sale! We recently covered Bart Dring’s ESP32 Grbl project, which is designed to run a CNC machine with an ESP32. We were impressed with Dring’s work, and its potential for reducing CNC control costs while simultaneously adding features. It’s an open source project and you could have built your own then, but there wasn’t a PCB available yet to simplify the connections. Now, Dring has completed the PCB design and it’s for sale over on Tindie. Dring’s Grbl_ESP32 CNC Development Board is just $29, and is packed with features. You’ll need to supply your own NodeMCU ESP32 development board, and three stepper driver modules. But, that should cost less than $20 all-in. So, for less than $50 total, you’re getting a complete CNC controller that has more features than traditional Grbl controllers that cost a lot more. Those features include the processing power of the ESP32 itself, WiFi and Bluetooth control, modular design, on-board connections for limit switches and the Z probe, and control switch connections for feed hold, cycle start, reset, and door. 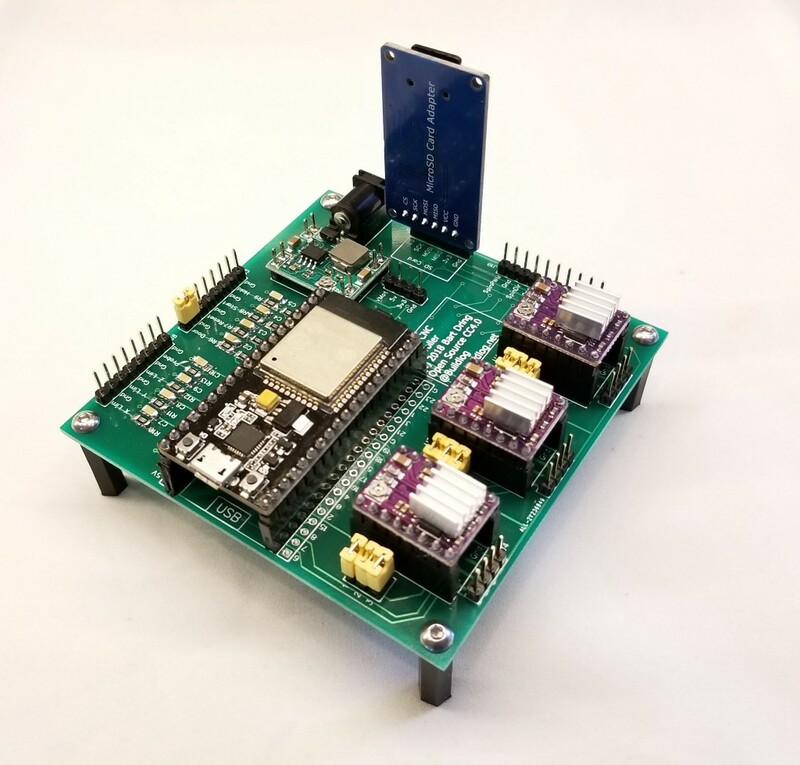 It also has PWM support for spindle speed, and connections for spindle enable and direction — which will be supported in firmware in the future. The board has a place for an SD card module, but that shares pins with mist coolant and spindle controls, so you may choose not to use it. If you’re looking at building a CNC machine or want to replace the controller on an existing machine, this looks like a fantastic option. 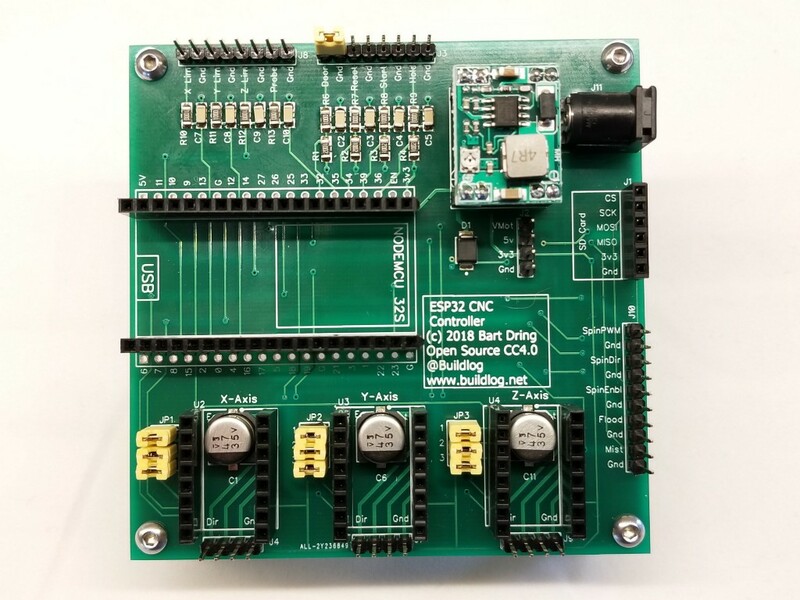 It’s more affordable than most control boards on the market, it’s open source, and it has a lot of potential for long-term use. The Updated ESP32-Based Grbl CNC Control Board Is Now for Sale! was originally published in Hackster Blog on Medium, where people are continuing the conversation by highlighting and responding to this story.